J&I made a road trip of a visit to the Denver National Archives this month. Across the Great Basin and back. We traveled by way of the Topaz and Minidoka camp sites, where thousands of Japanese Americans were incarcerated during World War II. Both camps are desert places. They can be farmed with irrigation, but not easily. Especially not Topaz. Here are some images from the Topaz site. 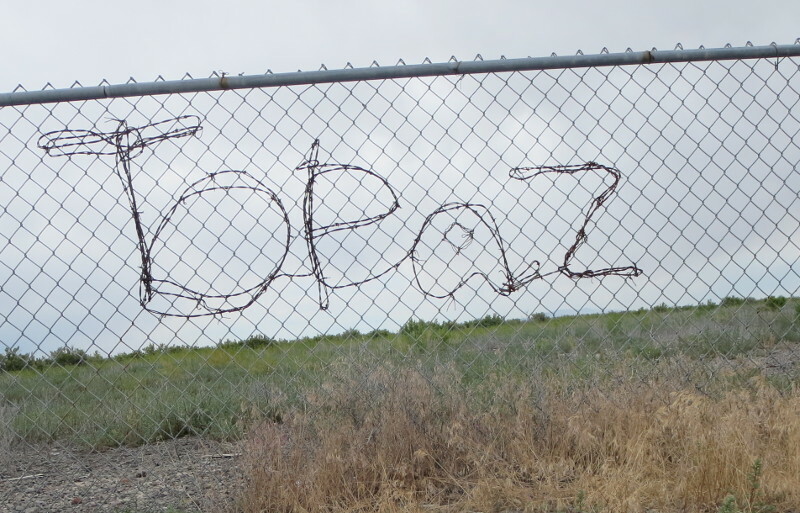 Topaz Museum director Jane Beckwith said the word spelled out in barbed wire was added, without permission, by antiwar activists who visited the site around 2003. 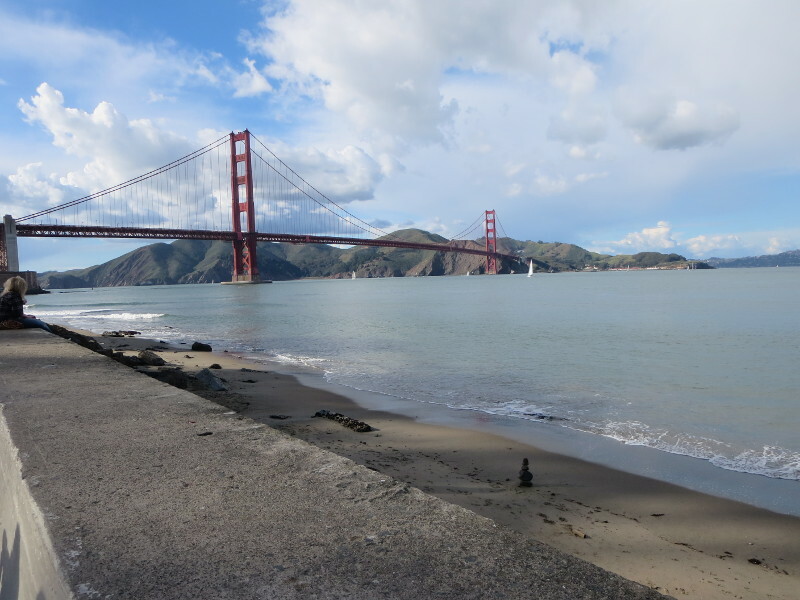 It’s now part of the site’s history, hence left in place. This entry was posted in Uncategorized on June 24, 2015 by Martha Bridegam. 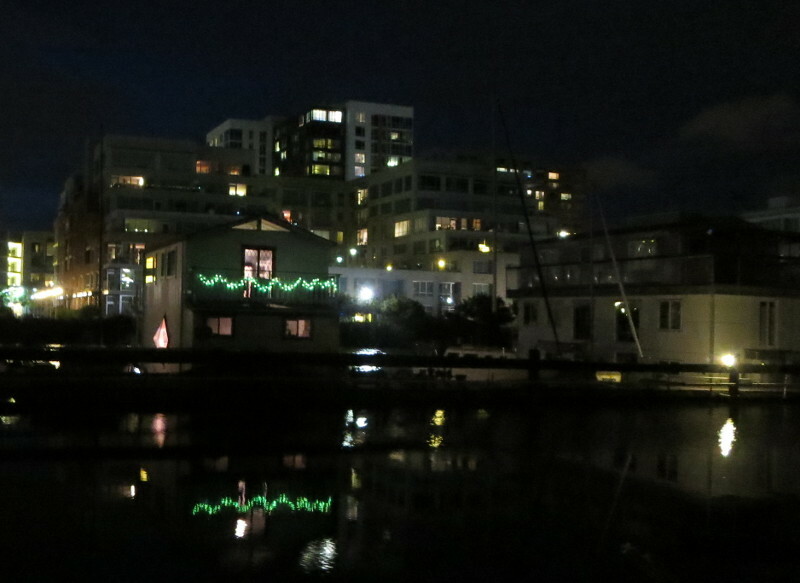 Who’d have thought it — now the Mission Bay houseboats look like a cozy old-money neighborhood compared with the harder-edged new machines for living all around them. This entry was posted in Uncategorized on May 15, 2015 by Martha Bridegam. 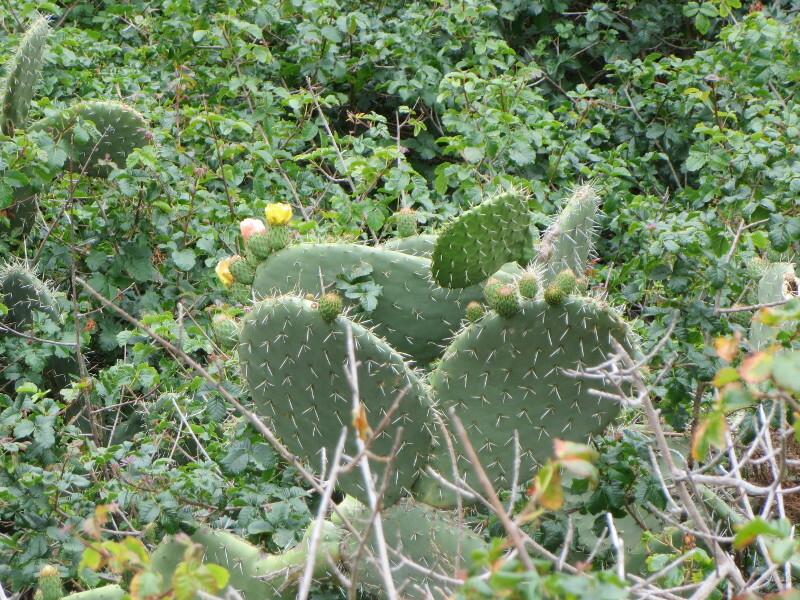 Garrapata State Park: poison oak, prickly pear, flowers. I’ll spare you the possible platitudes about life. This entry was posted in Uncategorized on May 8, 2015 by Martha Bridegam. 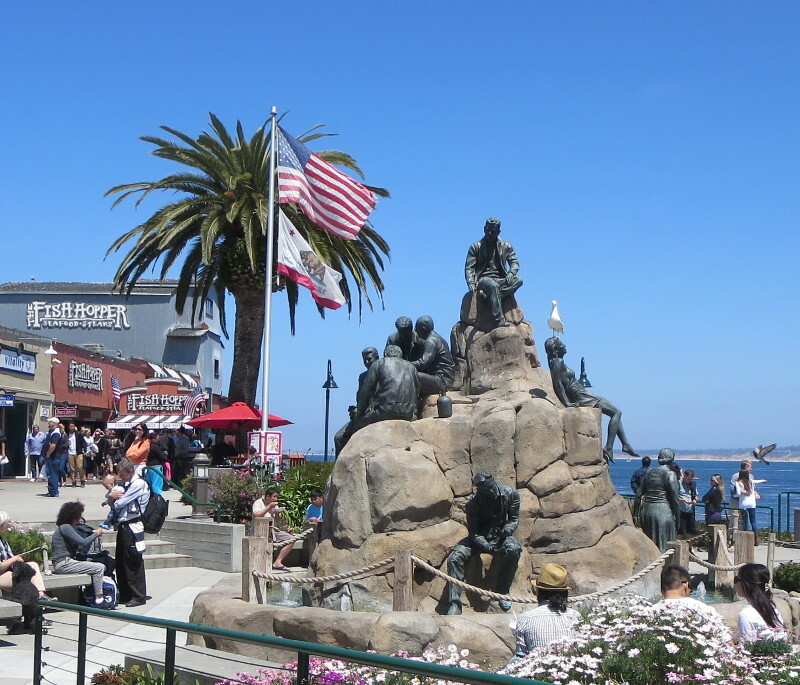 People in the tourist part of Monterey look at the expensive bronze statuary of the Cannery Row Monument without laughing. Apparently all the time, every day. This entry was posted in Uncategorized on May 6, 2015 by Martha Bridegam. 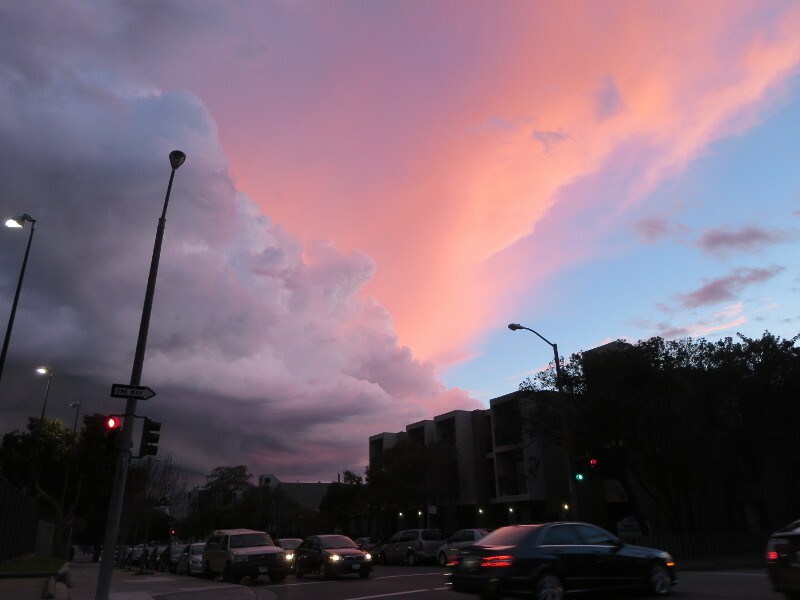 Don’t know what was with the sky tonight. 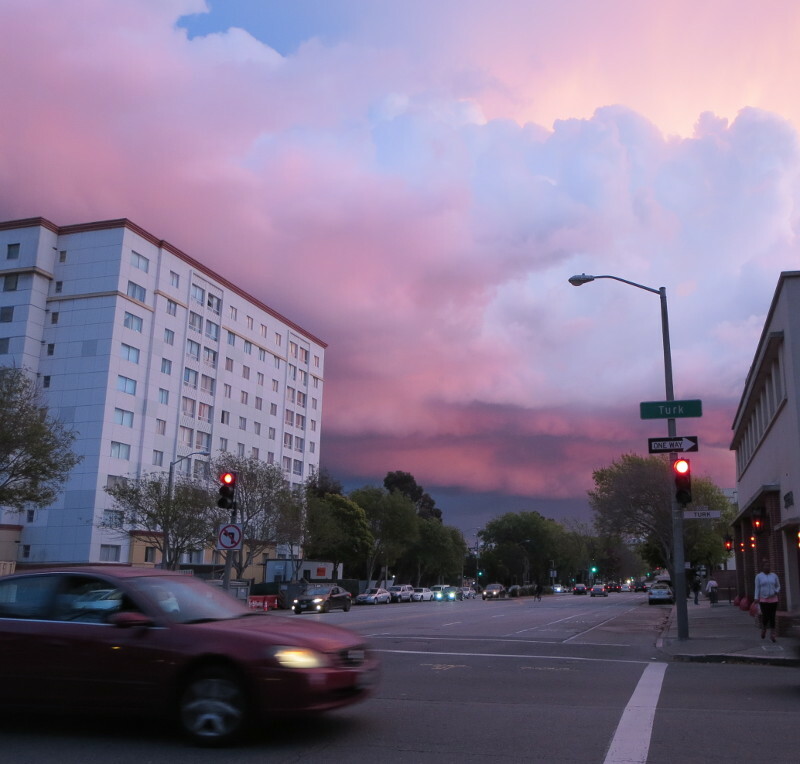 First pretty chiaroscuro light, then smoky-looking red clouds south and east of downtown. This entry was posted in Uncategorized on February 28, 2015 by Martha Bridegam. 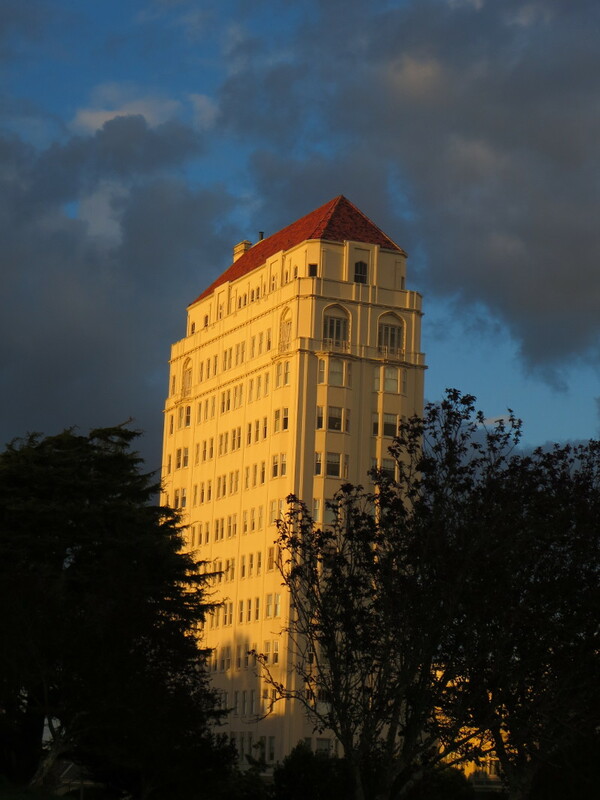 This site has been quiet for a while because I’ve been working flat-out as editor of California Planning and Development Report, a subscription newsletter on California land use issues. 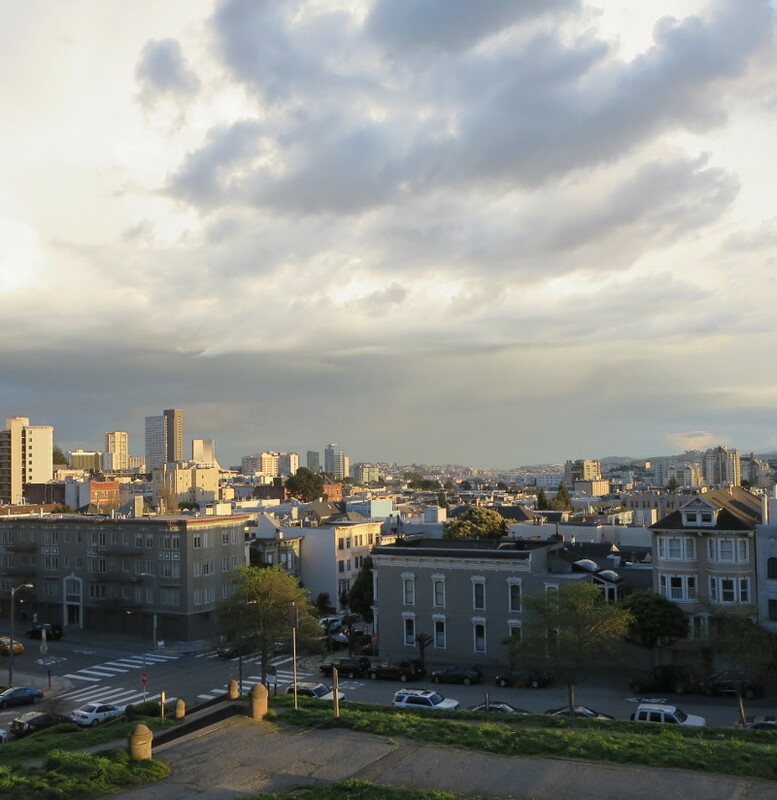 I’ll be going to contributor status at CP&DR shortly, which should leave time for other projects. Also possibly for more posts over here. For the moment I’m posting more actively on Twitter at @mbridegam and on Facebook. This entry was posted in Uncategorized on January 13, 2015 by Martha Bridegam. A long time ago, in an apartment building far, far away, we had a neighbor who was a former pizza delivery ace. She got pretty good at it. The pizza company had regional contests for fast delivery. The winners got big bonuses — brass rings worth jumping pretty high for. So she took crazy risks getting the pizza out to the customers fast fast fast. If I remember the story right, she did win one of those bonuses. Something like $500 back when a hundred dollars was worth something, in a town where some people worked for $6.50 an hour. This entry was posted in Uncategorized on January 3, 2014 by Martha Bridegam.